The idea is to allow for a match penalty and/or supplemental discipline for any player who punches either an unsuspecting or unwilling opponent. Previously, the rule only allowed discipline for an “unsuspecting” opponent. There have been plenty of suspensions over the years. Department of Player Safety vice president George Parros said that managers seemed to be in favour of the change. There will be more debate before a formal recommendation is made, which would then require competition committee and Board of Governors approval. Montreal’s Max Domi was suspended for five preseason games this season for suckering Florida’s Aaron Ekblad. San Jose’s Micheal Haley was banned for one game in 2016-17 for a punch on Nashville’s Calle Jarnkrok, just a couple weeks before a similar incident cost Anaheim’s Nick Ritchie two games (including one playoff game) for slugging Chicago’s Michal Roszival. Adding the words “unwilling” and “defenseless” would give Parros and Co. a broader scope or the leeway without having to dance around the language. It could also present other situations in a different light. Penguins superstar Evgeni Malkin received a one-game suspension for swinging his stick at Philadelphia’s Michael Raffl last month. There’s no question the Department of Player Safety would say Malkin always needs to be in control of his stick - no matter what. But Malkin was incensed because Raffl punched him in the back of the head in the second prior. Would Raffl’s punch that incited the sequence now be looked at differently? 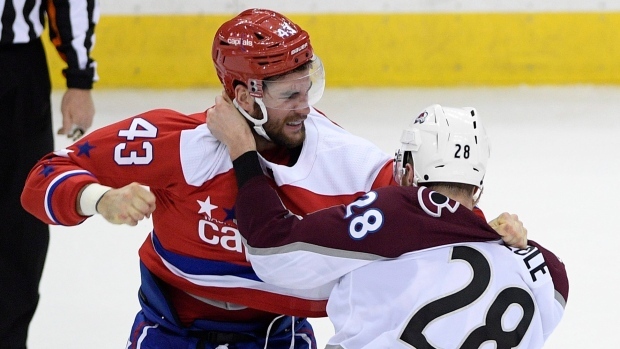 -The NHL is working to adopt a helmet rule similar to the International Ice Hockey Federation. In this case, it would require a skater who loses his helmet during play to exit the ice surface immediately. Players not exiting the ice would receive a two-minute penalty. So far, the NHLPA has rebuffed the idea of removing the right for players to not wear a helmet in warm-ups, though that is also a talking point here in Boca Raton. -Teams on a power play could be allowed to choose which side of the ice the first faceoff occurs on after a penalty is called. This has been tested in both the AHL and the Ivan Hlinka-Wayne Gretzky tournament. In the NHL’s case, the decision would be made prior to both teams making line changes, which could allow teams to set up their preferred power play sooner. -To help speed up the game, goaltenders will be encouraged by referees to play the puck for shots made from outside the blue line. A minor penalty for delay of game could be called if refused. The NHL says nearly 80 per cent of the time after a goalie freezes the puck, teams change lines, and those take an average of 28 seconds each. That ide will likely be revisited at the next GM Meeting in June.